Bitcoin may have high valuation, but has become unusable. It can get itself onto most of the exchanges. It solves enough of the core bitcoin problems that people will actually start using it. Wallets are ubiquitously available (web wallets, full node wallets, mobile, …). It gets the Bitcoin Brand(TM), and all the marketing clout that brand carries. The scaling is absolutely abhorrent. Transactions with default wallet fees get stuck in limbo. Those fees are no longer pennies or fractions of pennies, but are dollars. A full node wallet requires a massive amount of space. It uses a public ledger without a built in mixer, so isn’t really anonymous, especially when the exchanges that so many transactions are occurring at have extensive personal info (drivers licences, passports, …). Massive energy cost to maintaining the network. Here’s a recent example that illustrates this. I tried to send $150 USD equivalent to the Scott Horton show, which is hands down the most informative foreign policy show in existence. I’d previously sent him a $200 USD equivalent donation in bitcoin (and got a listen and think audio lifetime subscription in exchange! ), but I thought a signed copy of his book would be awesome, so decided to send some more. At the time I did this, the market price of bitcoin was around $15k USD/bitcoin, so this was about a 10mBTC (0.01 BTC) transaction. The wallet that I used to send the coin (electrum, which doesn’t require a full node) included a default fee of 0.392 mBTC (0.000392 BTC = ~$5.88 USD). A 4% fee on $150 is no longer enough to successfully yield a single bitcoin transaction confirmation after almost a full day! At this rate, will my attempted send to the Scott Horton show ever go through? 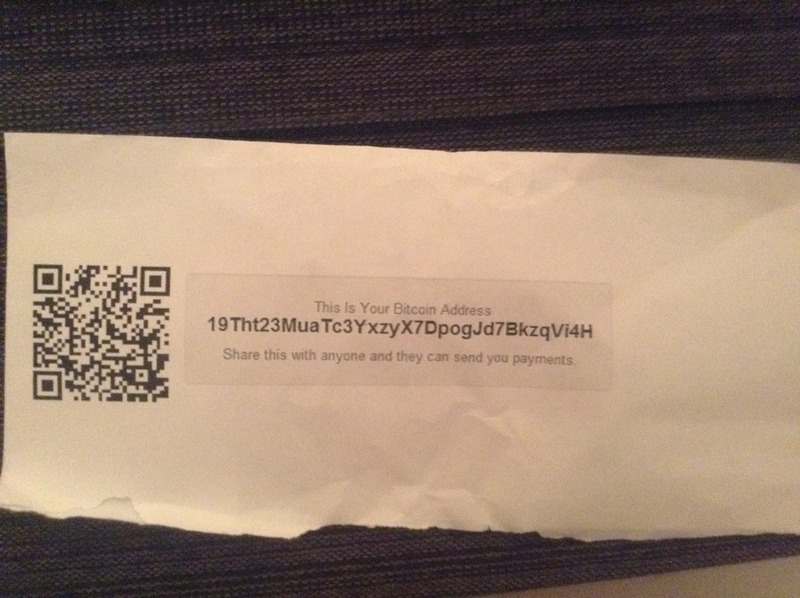 Have I lost the bitcoin I attempted to send? (*) I don’t think there is any way to bump up the fee on an existing transaction attempt to force it through (**). Bitcoin has been portrayed as a low fee system that will replace extortionist money transfer systems like Western union, kill the banks that are in bed with governments, enable billions of unbanked access to world finances, and facilitate micro-transactions for small services. It certainly hasn’t met with these expectations if somebody fully banked can’t even send $150. The days of being able to sent tips with bitcoin for services that seem desirable appear to be in the past. I happen to have a tips page on this blog. I’ve renamed it to ‘cryptocurrency tips’ from ‘bitcoin tips’, since bitcoin now appears to be effectively non-functional. (This doesn’t change the fact that a blog about math, physics, programming and random incoherent ramblings isn’t monetizable, so nobody will ever likely sent me enough bit or alt coin to even cover hosting fees, let alone the academic fees that have been associated with a lot of the content). These coin implementations have a range of features (privacy, transaction rates, low fees, ASIC resistance, …). I don’t think any of them deal with blockchain archiving that will be required for continuous future use, and think that it is fundamentally broken that a full node wallet cannot download only a working portion of the blockchain (or grab other subsets on demand). However, if the coin implementation doesn’t handle scaling and low fees, I think it is going to be doomed. I’m not seeing signs that bitcoin core is taking those issues seriously. This particular transaction has now disappeared from my electrum wallet, although it is still visible on the network. It appears that whether or not a transaction truly expires also depends on all the possible mining clients. To protect myself against the Scott Horton show being paid twice should I resubmit my transaction with a higher fee, I’d have to generate a new wallet, and transfer all my funds into that. It appears there are mechanisms to reset fees for transaction if they aren’t confirming, but they are wallet specific. The electrum 2.8 wallet software I was using did not have such a mechanism, and the transaction itself disappeared from the electrum history after about 24hrs. I upgraded my wallet to electrum 3.0.2, and the transaction showed up again, after which I was able to initiate a ‘child pays for parent’ transaction sending an additional fee (0.00178749 == $28 USD, another 18% fee, bringing the total fees to over 22%) to force my initial donation through. The moral of the story is that bitcoin can’t be used for small transactions anymore. If you send any or try to cash it in, you better make sure your wallet software is up to date, and setting fees high enough that the transaction will be processed. In the case of my donation to the Scott Horton show, where I asked for his $50 and $100 donation perks (signed copy of his book, and a QR silver respectively), despite paying additional fees, I may have gotten the better deal in the transaction, as I get two tangible items for bitcoin that is getting hard to spend (even if you can find somewhere that accepts it). I don’t think it’s a surprise that dashcoin (and probably other altcoins) have gone up relative to bitcoin 25% in the last day, since bitcoin has hit this peak. A lot of the alt-coins can be spent and the fees aren’t exorbitant. It remains to see how some of these altcoins will do under the network pressure recently imposed on bitcoin. I’ve made some small bitcoin purchases (an initial purchase at the decentral ATM, and a couple more at Quadriga CX. I’ve noticed that there are often large splits between the buy and sell offers posted on the Quadriga trade page, which I suspect is due to low volumes. Even factoring in the USD conversion costs their buy rates appear to higher than I’d expect comparing to the USD exchange prices. Looking for options I’ve enumerated some of the features, limitations, and charges for the Canadian exchanges that I have stumbled upon. No Government ID/utility bill verification appears to be required. They offer an interac online deposit, and I don’t see if they also impose a transaction fee. Quickbt caps purchases at 0.2 BTC (about 50 CAD). This “exchange” has a 10% transaction fee! 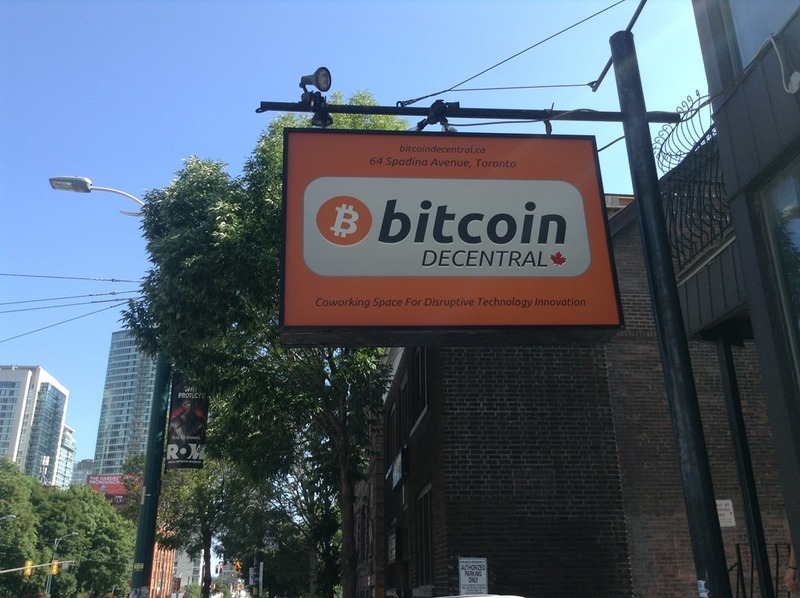 Like the decentral ATM on Spadina, this looks like a good way to make a very small initial bitcoin purchase, but not a good way to acquire any larger amount. Requires Government ID and utility bill verification for deposit. No fee for interac online deposit. 0.25 % BTC fee for purchase. No mining fee for transfer of purchased bitcoin into an external wallet. I am not sure if the exchange covers the mining fee, or it just isn’t included (if so, perhaps that is why a transfer out seems slow). There is a $1.5 CAD fee for fiat deposit using interac online. Appears that you can set up direct deposit for cashing out bitcoin sales. $1.5 CAD fee for interac online deposit. Buy rates with this exchange appears to be lower than Quadriga CX. I don’t know if they also impose a transaction fee for purchase or wallet transfer. Looks like you can supply Canadian bank information for direct deposit after sale of bitcoin. Buy/sell rates appears to be much higher than cavirtex. For example when I looked the canadianbitcoins buy rate was $556 CAD when the cavirtex buy rate was $527 CAD. This exchange also posts a very large split between buy and sell, with sell clocking in at the very low rate of $504 CAD (vs. their $556 CAD buy rate!) I don’t intend to use this exchange. While this is a Vancouver company, they don’t appear to have a CAD funding option. They charge a $2 fee for interac online, but I suspect there are probably USD conversion costs too. First off, notice that canadianbitcoins has uniformly poorer rates than any of the other Canadian exchanges. It looks like they impose both buy and sell fees that are significant. The best exchange for volume appears to be cavirtex. I haven’t used that exchange, since I didn’t want to eat any fees for deposit, and haven’t made any purchases larger than $50 CAD (so their interac fee was significant in comparison). It looks like it would be worth my while if I were to commit to making a larger one time deposit (say $200 CAD) in order to spread that transaction fee. Both vaultofsatoshi and quadrigacx have larger splits between their top buy and sell bids. Looks like those would both be better places to sell bitcoin if that was desired. I happen to be buying bitcoin because I am assuming that there will be more and more places to spend it, and want to have some to play with. I don’t have any intention of trying to play a day trading game with buy and sell, and suspect that this would require both trading skill that I don’t have, and larger amounts of cash than I am willing to loose.